Note: SSO/SAML is available in our Corporate or Enterprise plans. There are two parts to getting OneLogin working with Status Hero: 1.) the initial setup, which you'll do once, and 2.) the user provisioning tasks, which you'll perform when you first set things up and each time you add new users. 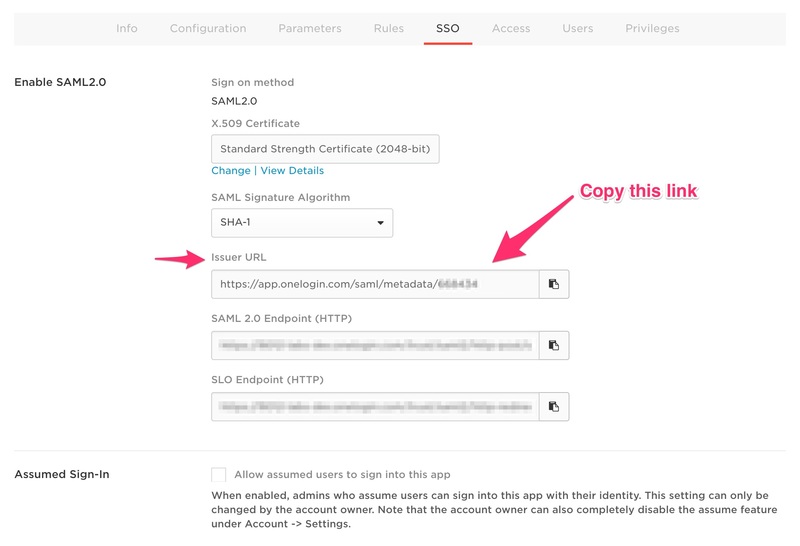 Before you get started, you'll need to let us know you'd like to enable your account for SSO/SAML with OneLogin, then follow the steps below. Right now there is still a manual step on our end, so we'll need the link from the last step before you can start provisioning users. Once we confirm that everything works, we'll disable password authentication and magic link sign-in capability completely for your account. 2. Under "Apps", select "Add Apps"
The SCIM Base URL from your account settings for "SCIM Base URL"
The SCIM Bearer Token from your account settings for "SCIM Bearer Token"
9. Click "Enable" and then click "Save"
11. Under the "Parameters" tab, edit the value of the "SCIM Username" to be "Email"
12. Under the "Provisioning" tab, tick the "Enable provisioning" checkbox. Essentially, you'll need to add the "sync login" step to the provisioning process. 2. Under the "Applications" tab, click the "+" to add a new application for this user. 9. Under the "Users" main menu item, select "Provisioning"
12. Under the "Users" main menu item, select "Provisioning"
14. Under "Apps", select "Company Apps" go back to the Status Hero app, you should see the user listed as "provisioned". 11. Under "Apps", select "Company Apps" go back to the Status Hero app, you should see the user listed as "provisioned".